This morning at Miyahara Station of JR Takasaki Line, we met a nice and friendly couple of guests from Montreal, Canada and enjoyed driving on highway for about two hours to starting point on the base of Mt. Fuji. It was so beautiful and sunny day, and Mt. Fuji looked so magnificent. 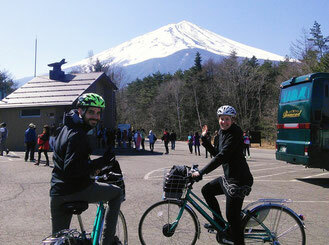 We arrived to parking area at 1,291 meter high near the 1st station and unloaded our E-bikes. 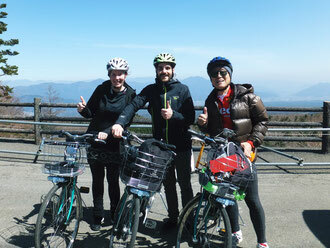 The E-bike tour is aiming to "Osawa" parking at 2,020 meter high near 4th station. The Subaru Line from the 4th to the 5th stations is closed with snow by middle of April. At 10 a.m., we started from the 1st station parking where Mt. 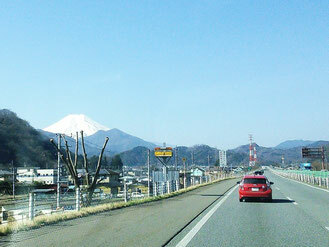 Fuji looked directly ahead. We tried to go up the Subaru Line for about 700 meter height toward the destination. 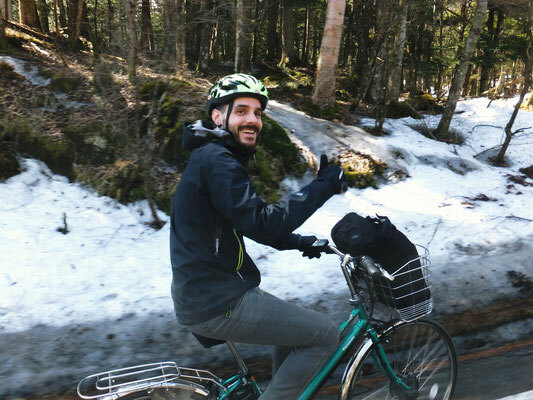 The capacity of the battery of B-Ike's E-bike can fully support to climb up more than 1,000-meter-high elevation. On the way, for short break of 20 minutes, we stopped by "Jukai-dai" Parking at 1,663 meter high, where the large forest spreading on the northern base of Mt. 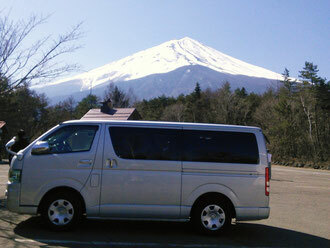 Fuji and series of 3,000 meter high mountains of Southern Japan Alps can be viewed. 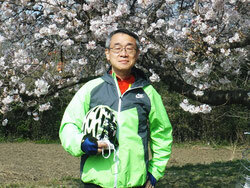 The E-bike tour went smoothly and cheerfully. We arrived to "Osawa" Parking at 2,020 meter high finally at 11:40 a.m. It took just 1 hour and 20 minutes for going up 700-meter-high elevation, excluding breaking time on the way. 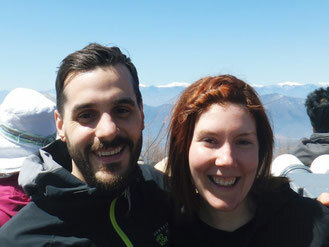 With high-five, we shared pleasure of attaining the goal of the highest point of Subaru Line, Mt. Fuji. It took just 30 minutes to return from "Osawa" Parking Area to the 1st Station Parking Area without stopping on the way down. 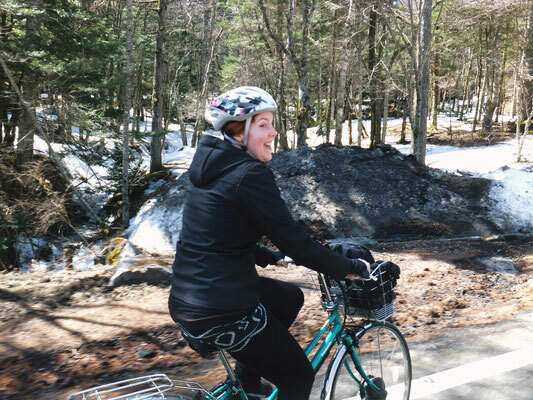 We carefully control the speed by using electric braking of the E-bike, that charges the power regenerated by braking. 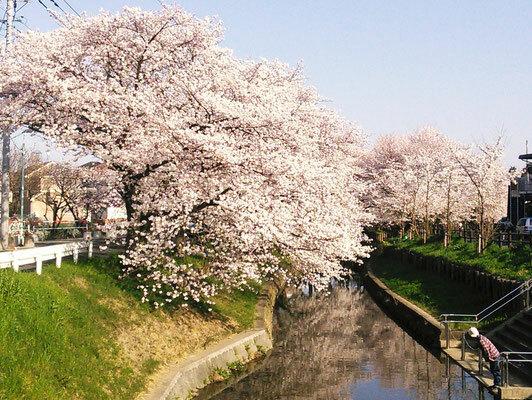 On the way back to Saitama city, we enjoyed viewing Sakura blossom in Kawagoe city, called little Edo town.